The Final Word – Is it a big swing and a miss as NASCAR makes big changes for 2020? Photo by Stephanie McLaughlin for SpeedwayMedia.com. In answer to Sheryl Crow’s question of more than a decade ago, “I don’t.” Other than for Daytona, which usually is a visually thrilling spectacle on its own, this has not been a banner season for the televised version of NASCAR. Sadly, that has been the case for at least 10 years now. Unless you are a stats freak, know who is where in the standings, are a gear head who just loves cars, there is nothing much to see or hear to keep you glued to the tube each week. So, now they plan to shake things up for next season. A lot. As a traditionalist, I do not like it at first glance. However, what is, well, no longer seems to be working. In fact, just 13 dates from this season will be the same for next. The Daytona 500 still opens the season in mid-February. Then the changes begin. Las Vegas replaces Atlanta the next week as they, along with California, play musical chairs. The biggest change has Homestead moving from 36th to sixth on the schedule as fans of Martinsville will have a big change coming to their lives. Martinsville does not appear until nearly two months later, with dates in May and a playoff run in early November. They will have not one but three short track courses to help determine a champion. Richmond and Bristol still have their April dates and, while Richmond retains its September run, they will move Bristol’s second date from August to early November. Three iconic events are also on the move. The Southern 500 in Darlington is on the move…again. It drops back a week to take over the Indianapolis playoff spot. The Brickyard 400 will now welcome the fireworks in early July. 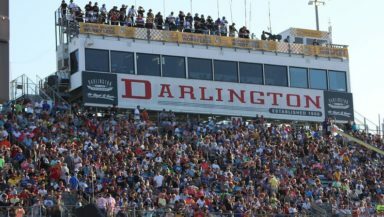 The former Firecracker 400 will become the final regular season event, as Daytona takes the Darlington date in late August. While some dates for other tracks will be moved slightly out of order compared to this season’s schedule, it at least is somewhat recognizable. Even the season conclusion in Phoenix will be on the same date, concluding the year a week earlier and at a different venue. There is one more exception. It will no longer be your daddy’s Pocono experience. Instead of visits in early June and then in late July, now it will be two visits in late June on two successive days. A Saturday-Sunday doubleheader. Tell me, how bad have you got it? Some of the changes are interesting. Moving the season ending event matters not, as Homestead has never become an iconic event in most minds anyway. Adding a third short track is good. Keeping the roval in Charlotte as part of the mix is fine. Adding some tradition with the Southern 500 becoming even more meaningful actually comes across as a fine idea. Moving the summer Daytona date is an eye opener. Maybe it will work out. A doubleheader at Pocono? What would cause fans, who care less and less about the sport, to love the thought of spending a lovely full weekend in Pennsylvania for a double hit of what they do not watch now? Pack racing is visually stimulating. Events where the competitors are strung out all over the track are not. It is a simple fact. How to change that perception is something they have yet to find an answer for. For those contests, if the announcers are not entertaining in their own right, only the die-hard fans remain. The rest are gone. Maybe with NBC’s return later in the season with their new approach to covering the action, entertaining us along with describing the action, they can help save the day. Since Daytona, the races at Atlanta, Las Vegas, Phoenix, Fontana, and Martinsville have been just painful to watch. I only hope the live experience, at the track, is a much more enjoyable experience. God, I sure hope so. How bad have I got it? You know the answer. I miss those days when I did.